The City of Ontario is home to a large number of people with special housing needs. These special needs may be related to occupation, income, family characteristics, disability, veteran status or other characteristics. Special needs groups include, but are not limited to: seniors, large families with children, people with disabilities, single-parent families, college students, veterans and people who are homeless. Though each group is markedly different, they share the challenge of finding suitable and affordable housing. 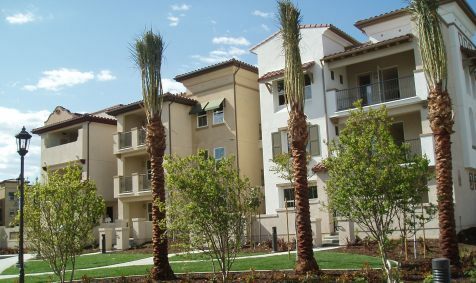 As the next urban center of the Inland Empire, Ontario’s population will become increasingly diverse, with people of many cultures, backgrounds, family types, ages, and experiences. The housing needs of Ontario’s residents will be equally diverse. Recognizing the contributions of this diversity to the community, Ontario has the opportunity to demonstrate leadership in addressing the housing and support needs of all residents. Ontario is thus committed to creating a community that allows people to live in the City for their entire life, regardless of their special needs. A full range of housing types and community services that meet the special housing needs for all individuals and families in Ontario, regardless of income level, age or other status. Senior Housing. We support the development of accessible and affordable senior housing and provide financial assistance for seniors to maintain and improve their homes. Family Housing. We support the development of larger rental apartments that are appropriate for families with children, including, as feasible, the provision of services, recreation and other amenities. Homeless People. We partner with non-profit partners to provide emergency shelters, transitional housing, permanent supportive housing, and supportive services for people who are homeless. Supportive Services. We financially support organizations, as feasible, that provide support services that meet the needs of those with special needs and further the greatest level of independence. Partnerships. We collaborate with non-profit organizations, private developers, employers, government agencies and other interested parties to develop affordable housing and provide support services.